Britney Christensen, a teacher at Ealy Elementary in nearby Whitehall, Michigan, sketches observations from the bluff looking down on the wetlands at Zephyr. 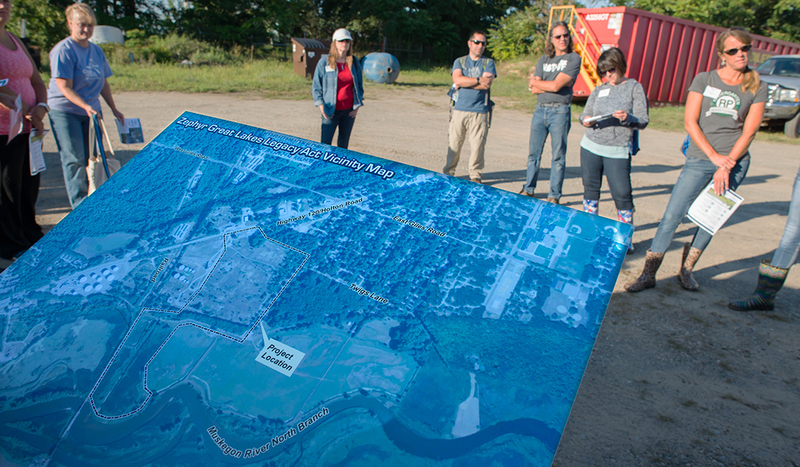 “The site doesn’t glow!” assured Michigan Department of Environmental Quality (Michigan DEQ) geologist Sarah Pearson, to the relief of local teachers stepping foot on the land of what used to be the Zephyr oil refining facility in Muskegon, Michigan.  The site is now home to a fertilizer company. The 14 educators were taking part in a week-long West Michigan Great Lakes Stewardship Initiative that brought them to an area of wetlands that endured repeated oil spills during the decades prior to the 1990s that Zephyr was in business—refining, then switching to bulk storage. Teachers gather to look at a map of the Zephyr site. Today there’s little visible indication of those frequent spills, which sometimes resulted in fires. Now and then you can still catch a whiff of oil or spot some sheen on the ground, but for the most part the landscape is picturesque. The grasses are tall and the wildlife has started to return. But contamination, including petroleum products and heavy metals like lead and copper, remain just out of site in the sediment of Muskegon Lake. “The funny thing is that you knew it existed, back in the day. But when we drove back there, you couldn’t see it. So it’s more out of sight, out of mind,” said Shannon Delora, Muskegon area transition coordinator for students in special education. 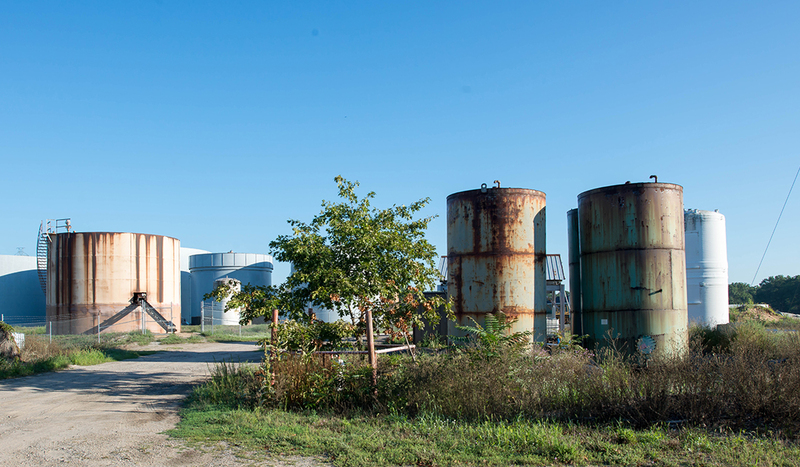 Tanks that at one time stored oil by Zephyr are now used by a fertilizer company that owns the land. 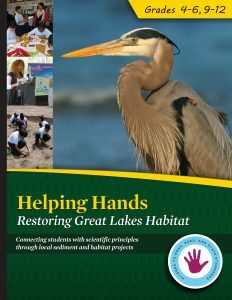 Ben Wegleitner, IISG social science outreach assistant, was on hand to introduce the latest version of Helping Hands, a curriculum that engages upper elementary and high school students in Great Lakes environmental stewardship. It is designed for schools located in Areas of Concern, like Zephyr, but can be applied to any Great Lakes community where large-scale environmental cleanup projects are ongoing. The lessons touch on a variety of topics, like the effects of pollution and invasive species, and include hands-on activities. The Zephyr cleanup, which is funded through the Great Lakes Legacy Act, involves the U.S. EPA, Michigan DEQ, and IISG. The plan is to remediate 36,000 to 45,000 cubic yards, followed by habitat restoration. It’s slated to get started within the next six months and will take about a year and a half to complete. “I was very unfamiliar with Zephyr,” said Beth Sipperley, a third grade teacher at Oak Ridge Elementary School.